The Kitchen Sink, the Mellow Yellow, the Do-Nothing, and the 80-20 rule of swaying! I thought it might be helpful to talk a bit about different swaying strategies. What is right for one person may not be right for another. There is no one size, fits all sway. I think there’s room for lots of different sways and that first and foremost we must do what is right for ourselves, our families, and our marital relationships. 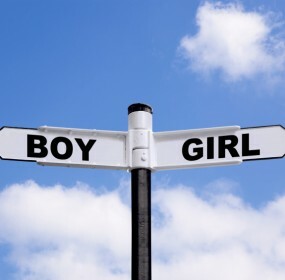 How important is it for me to conceive a child of a particular gender? Will I be devasted if I conceive an opposite? Should I be looking into HT? How solid is my relationship? How much swaying is my husband willing to put up with? Could I cause permanent damage by pressuring him to do things he is uncomfortable with? Is HE the one who wants a child of a particular gender or will swaying potentially put him off the idea of another child all together? What kind of time parameters are we dealing with? Are we in a rush due to age, our desired family makeup and child spacing, or career issues? What is our fertility status to begin with? Are we in our late 30’s? Does my husband have lower sperm count? Am I healthy or do I have any sicknesses that require strict dietary guidelines that I should not deviate from? What will our next step be if this sway fails? Would we do HT if that happens? If so, wouldn’t it be more sensible just to go HT NOW rather than waiting several years if we conceive an opposite? (the older you get, the less chance you have at successfully going HT so it is better to try HT first if you can) Would we have another child? Do we even want another child if we fail? Is this my last shot at my DG? Will this ruin me if it goes bad? Will swaying take over my life? Am I the obsessive type? Will swaying actually hurt worse than doing nothing if I get an opposite, or will I at least feel like I tried? Thinking about those questions may help clarify what your hopes and expectations are for swaying and it may become apparent what strategy is right for you. FIRST AND FOREMOST WHEN SWAYING – If you don’t get pregnant, you have NO chance of your DG. The “Kitchen Sink” sway – Forget everything but the kitchen sink, you want to throw the sink in there too! IF you are someone who really, truly feel that you MUST have a child of a particular gender and really truly cannot go HT, and if, as my friend Tamara said once, you are willing to go from now until menopause getting nothing but BFN’s, then this approach may be for you. You will want to do and try everything even if it drastically reduces your odds of pregancy. This is particularly true for pink swayers because a lot of stuff we do for pink lowers the odds of pregnancy. You will need a husband who is very supportive and not to have any time constraints (as in, if your husband is stationed overseas and only home for three months, this is NOT the approach you should take.) You need patience and nerves of steel because once those BFN’s start piling up, a lot of people lose heart and are inclined to give up. And the longer you sway, the more likely it is that you will give up on things that are hard to stick to, like diet. Caveat – This approach is poison for people who tend to get very obsessive and worked up about things. Not only does it have the potential to raise testosterone levels, but they tend to add more and more to their sway until one day they snap and give up on swaying all together. Even for blue swayers this can be dicey because in some people, chronic long-term anxiety may supress testosterone and end up swaying pink! Sometimes you just can’t win! It’s also harder for many people if their sway fails, because not only did they feel that they had a guarantee because they had done everything, but they also may feel like they tried so hard and blame themselves for the three chocolate chips they ate in October. The “Mellow Yellow” – If it feels good, do it. Pick and choose the things that feel right to you and leave the rest of it in God’s hands because that’s probably where it is anyway. If your husband isn’t supportive, no worries, just leave the husband stuff out of it. Some things may lower your odds of pregnancy esp. if you’re swaying pink. This is better for people who are in a hurry to get pregnant but not completely. Caveat – This is probably not going to be as ‘perfect’ a sway as a Kitchen Sink sway. If you do end up conceiving an opposite, you may have regrets that you didn’t do this or that, and I have seen some women blame their husbands for not wanting to go along with certain aspects of swaying. The Do-Nothing – NOT swaying and just TTC, is always an option. The vast majority of babies of either gender that have ever been conceived on the face of the planet were born to parents who had never heard the word swaying other than the wind through the trees. For most of us, if we keep having children (aka “Duggaring-it-out) we will end up conceiving an opposite just by getting pregnant again. There is a lot less risk of raising your testosterone levels with this method. It’s perfect for people who are in a hurry to get pregnant because there is no preparation required. And it may be best for people who find they get very worked up and stressed when they consider swaying. already have. (Of course if you want another child of the same gender, don’t mess with success!) Also, you may have regrets later on if you conceive an opposite. The Advanced Do-Nothing – IF you’re a woman who tends to get very worked up and stressed out about things AND you have a supportive husband, the option exists that he can surprise you with a sudden attempt one day! Maybe it’s a pipe dream, but I can envision a husband that does all the research, quietly monitors his wife’s cycle (or helps her chart as some DH’s do) and just arrives in the bedroom one night with a bottle of wine, a tube of Sylk or Pre-Seed, maybe an antihistamine or Robitussin, gives his wife a blissful backrub and lets nature take its course!